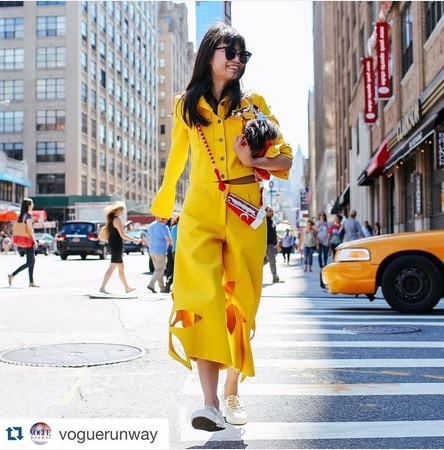 Former Elle China senior editor cuts a wide swath at New York Fashion Week. Yi was born in Beijing but is currently based in Shanghai. And, as a further reminder of just how critical it is to multi-task professionally in the 21st century, the NYT item writer, Shapiro, is also the founder of a sustainable bodycare and fragrance line called Ellis Brooklyn.